This two day - one night cruise to untouched Bai Tu Long Bay with the Dragon Pearl Junk is ideal for you to discover natural beauty and local life on a limited time schedule. 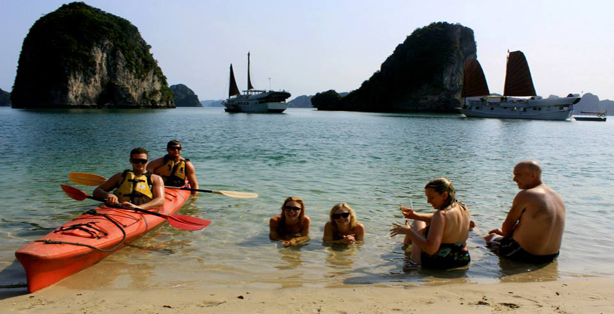 You will get to visit a cave, go kayaking and visit a floating village. 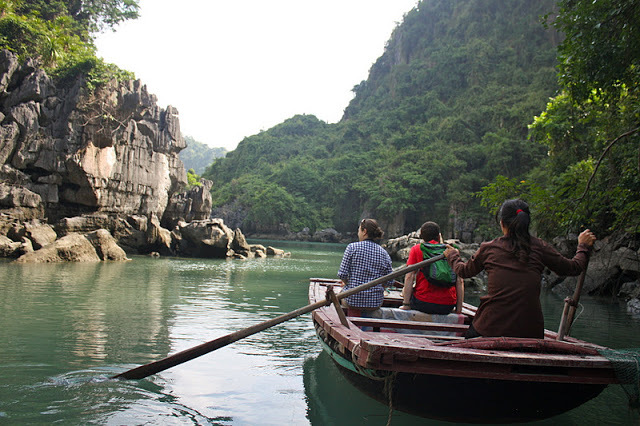 This trip takes you deep into the natural wonders of Bai Tu Long Bay. You’ll experience a memorable night on the boat, anchored in the crystal clear waters of the bay. The route is off the beaten track. Our experienced English-speaking guides will enthusiastically make every effort to provide you with a pleasant and fulfilling journey. This cruise may well be the highlight of your trip to Vietnam.